The Tennessee State Library and Archives is pleased to announce that starting October 1st, Tennesseans will have free online access to the full run of The Tennessean (1812 to today) through the Tennessean Electronic Library (TEL). Previously, Tennesseans were only able to access full-text articles from The Tennessean back to 2002. With the addition of the historical Tennessean,Tennessee residents will be able to search and view news articles, photos, advertisements, classified ads, obituaries and cartoons from 1812 to 2002. The Tennessean began in publication 1907 as the Nashville Tennessean but this service includes earlier titles such as the Nashville Whig and the Daily American. 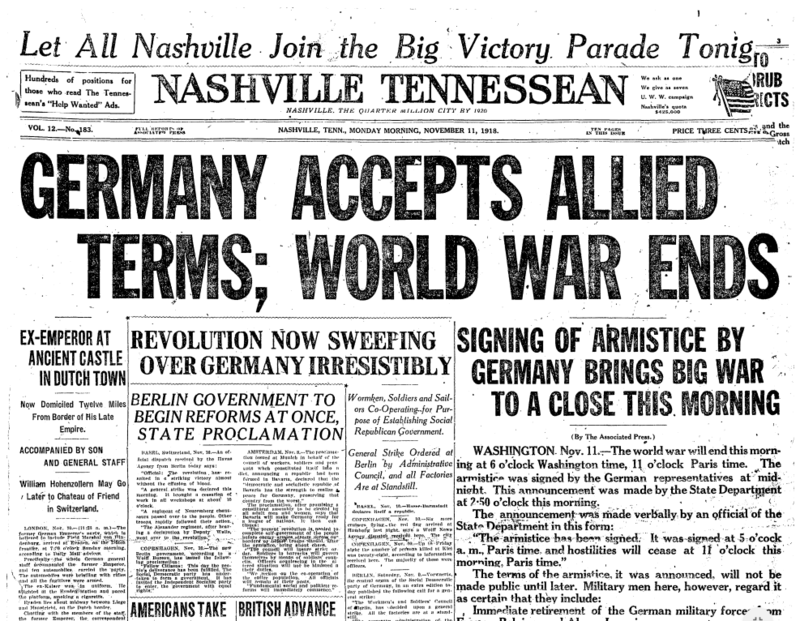 These papers reported not only Nashville-area news, but carried stories from around the state and the nation. Full access to the historical newspaper: Users can study the progression of issues over time by browsing entire issues, including news articles, photos, advertisements, classified ads, obituaries and cartoons from 1812-2002. Insight into multiple perspectives: On the intuitive ProQuest platform, users can find a broader view of issues and events by cross-searching all the complete runs of The Tennessean. User-friendly support tools to facilitate research: Issues are searchable by keyword, date ranges, specific dates, author and more. Users can find relevant material quickly with hit-term highlighting and download PDFs of articles or images.